With plenty of headroom and two doors and vestibules for ease of access and storage space, the Kelty Trail Ridge 6 person tent is consistent favorite among outdoor enthusiasts. Featuring all the amenities for comfortable backcountry living, the Trail Ridge 6 is constructed of durable materials, including taped floor seams, gear-loft loops, ventilated mesh walls panels, and fly vents. Checkout the video demo below. 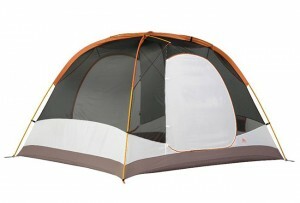 This price won’t last long so get your Kelty Trail Ridge 6 today!